Experience the mystery and glory of Christmas during a free Christmas concert this year. 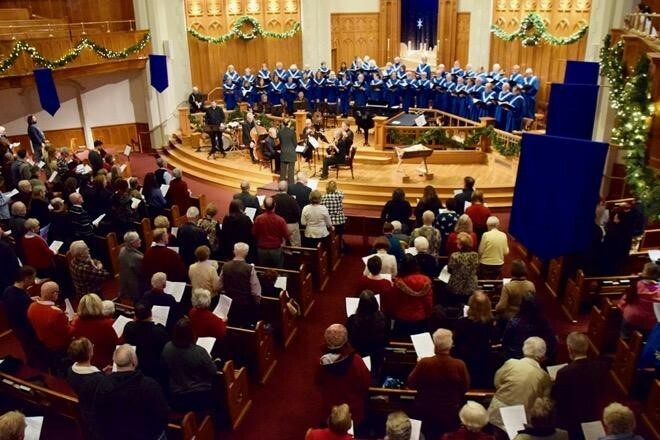 A concert of lessons and carols featuring the Sanctuary Choir and a professional brass ensemble. Highlights include popular arrangements and original music by John Rutter, as well as congregational carol singing for the enjoyment of all. Free and open to the public. A freewill offering will be received. Free parking is available in the lot adjacent to the church. The concert is family-friendly and childcare is available.